Cameron A. “Cam” Warren, former longtime member of the Amelia Earhart Society, may be still with us at 95 in Fountain Hills, Ariz., but my current information on him is limited. Warren was among the better known of the “crashed-and-sankers” in the AES, along with former ONI agent Ron Bright and Gary LaPook. Warren and Robert R. Payne, former editor of the Naval Cryptologic Veterans Association newsmagazine, CRYPTOLOG, who passed away in 2015, at some point joined to complete Capt. Laurence F. Safford’s unfinished manuscript of Earhart’s Flight Into Yesterday. Safford was among the most important of the founding fathers of U.S. Navy cryptology, and was closely involved with the Navy’s code-breaking efforts more or less constantly until shortly after the Japanese attack on Pearl Harbor. His 2003 book is an analysis of the final flight as seen from a strong crashed-and-sank bias, which is revealed without pretense in a brief chapter toward its conclusion, “Survival Theories.” Here Warren and Payne incredibly write that Safford’s criticism caused Goerner to “reverse his opinion about the survival theory, and joined Safford in his belief of a crash-landing into the sea.” This is an outrageously false contention and defies credulity, given the large volume of Goerner’s work, in which he never denounced his conviction in the fliers’ Saipan demise, though he did inexplicably reverse his ideas about the landing at Mili Atoll. This writer even devoted a chapter in Amelia Earhart: The Truth at Last, “Goerner’s Reversal and Devine’s Dissent” to a discussion of Goerner’s bizarre and still unexplained change. The foregoing has little direct connection to the following brief tribute by Warren to the great inventor and Earhart researcher Frederick J. Hooven, which appeared in the November 1997 issue of the Amelia Earhart Society Newsletter. We’ll hear more from Hooven in the future, and from Safford as well. Over the years, there have been many people on the trail of Earhart and Noonan, ranging from the idly curious to the truly brilliant. Theories as to the fate of the famous couple have similarly varied from the ridiculous to the sublime, but all have at least a kernel of truth as their root source. So the speculation continues and so does the intense analysis and re-examination of the ideas, clues and factual data. One man stands out among the serious researchers, uniquely equipped to dispassionately consider the mountain of information, and who — had he lived longer — might have solved the mystery with all the storied ability of Sherlock Holmes himself. Frederick J. Hooven, inventor, engineer and Dartmouth professor first met Amelia when she arrived at Wright Field, Dayton, Ohio in 1936. She was there to have a direction finder installed in her Electra, and the device was an advanced model designed by Hooven himself. Here was a man who, at the age of 15, had met Wilbur Wright, and sought his advice on an aircraft that young Fred and his pals would attempt to build, unsuccessfully, as it turned out. Later, in 1978, Hooven completed a computer analysis of the Wright Brother’s plane and determined the plane was inherently unstable. “The only reason the flight worked was because the Wrights were such good pilots,” he once told the Boston Globe. Hooven’s DF (direction finder), which operated on the conventional low frequency bands, featured a small loop in a low-drag streamlined housing, and though the original design circuits were deemed unreliable by operators at the time, the system would eventually be made automatic in its operation, and as the “ADF” (automatic direction finder), would become the de-facto standard for commercial aviation for many years. Unfortunately, perhaps, the Hooven system was removed from the Electra soon after installation and replaced by another prototype which Bendix people were hoping to sell to the U.S. Navy. It purported to utilize high frequency (3-10 megacycle) radio waves, especially 7.5 megacycles, corresponding to the amateur’s cherished 40-meter band. 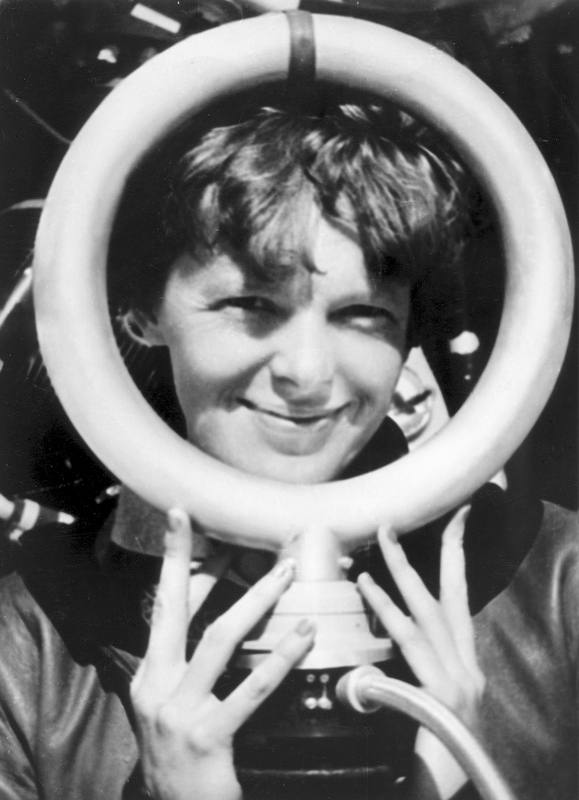 Apparently Earhart and her husband, promoter George Putnam, were led to believe it was a magic device. It wasn’t, and Lawrence Hyland, who was a Bendix vice president at the time, later denied it was aboard when the Electra disappeared. 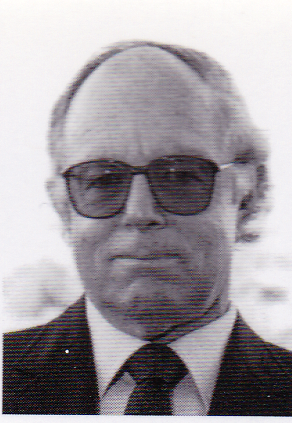 The late Fred Hooven, noted engineer, inventor and creator of the Gardner Island (Nikumaroro) landing theory, later commandeered by TIGHAR and advanced with great fanfare and international acclaim without attribution to Hooven, was adamant that some of the so-called post-loss transmissions originated from Amelia Earhart’s Electra 10E. He soon completely denounced the idea the lost fliers landed on Gardner after close study with his friend Fred Goerner. Hooven, who died in 1985, was the holder of 38 U.S. patents, including a short-range radar set for World War I bombers, and landing systems for other aircraft. His interest was not confined to aviation electronics, for among his many other accomplishments were such developments as front-wheel drive for GM cars, computers, photo-typesetters and the first successful heart-lung machine. He was a 1927 graduate of the Massachusetts Institute of Technology, better known as MIT, and worked in GM Research for 25 years, before leaving to pursue other interests. Employed for a time by Vince Bendix, they later had a falling out when Hooven became dismayed with Bendix’ over-zealous business activities. 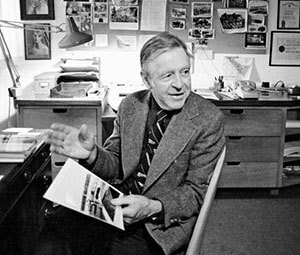 Professor Hooven’s interest returned to Earhart on the publication of Fred Goerner’s book in 1966. He began a lively and very extensive correspondence with Goerner, whose research into the Earhart puzzle never ceased in his lifetime. They became close friends, and Hooven devoted more and more time to combing through Goerner’s writings and spoken observations, seeking the solution to the mystery. His (incomplete) conclusions are of more than passing interest, considering his scientific background and research experience. Given the possibility of such a landing, and the Pan Am coordinates, he favored McKean or perhaps Gardner Island (Nikumaroro), and calculated her gasoline supply would have allowed her to fly that far. It seemed highly likely to Hooven that the crew and perhaps the Electra were recovered by the Japanese prior to the arrival of COLORADO’s search planes several days later. This would tend to confirm the Marshall Island scenario, with AE and Noonan later taken to Saipan, and explain why no trace of plane or crew were ever found on either island. Of course, Richard Gillespie of TIGHAR seized the idea of Nikumaroro, without credit to Hooven, incidentally, but continues to deny any possibility Noonan and Earhart didn’t linger there despite much evidence (or lack thereof) to the contrary. Why did the Navy discount this whole scenario? Hooven raises the question of intercepted code. If our military was aware, via partial code-breaking, of what the Japanese had done, they faced a serious dilemma. Confronting the Japanese would tip that nation off that their secret codes had been compromised, and if this was the case, the value of our eavesdropping in the immediate pre-war climate would have to outweigh the rescue of Earhart and Noonan. This theory fits the puzzle so neatly it boggles the imagination; suffice to say that at this point in time no hint of such intercept capability in 1937 has surfaced. Neither Captain Safford nor Rear Adm. Edwin T. Layton (Admiral Chester W. Nimitz’s intelligence officer, and a likely source for Nimitz’s broad hints to Goerner on the subject) have ever so much as dropped a hint, despite the sensitive revelations both made in their post-war comments on the Pearl Harbor debacle. Hooven was born in Dayton, Ohio in 1905, met Orville Wright as a child and by age 15 was a regular visitor to the Wrights’ Dayton laboratory. After graduating from MIT in 1927, he was hired by General Motors, and rose to vice president and chief engineer of the Radio Products Division of Bendix Aviation Corporation by 1935. He died in 1985. In my May 15, 2017 post, “Hooven’s 1966 letter to Fred Goerner quite clear: Removal of his radio compass doomed Earhart” we saw the first of many letters between Hooven and Fred Goerner. We’ll see more of the fascinating exchanges between these two giants of Earhart research in future posts.